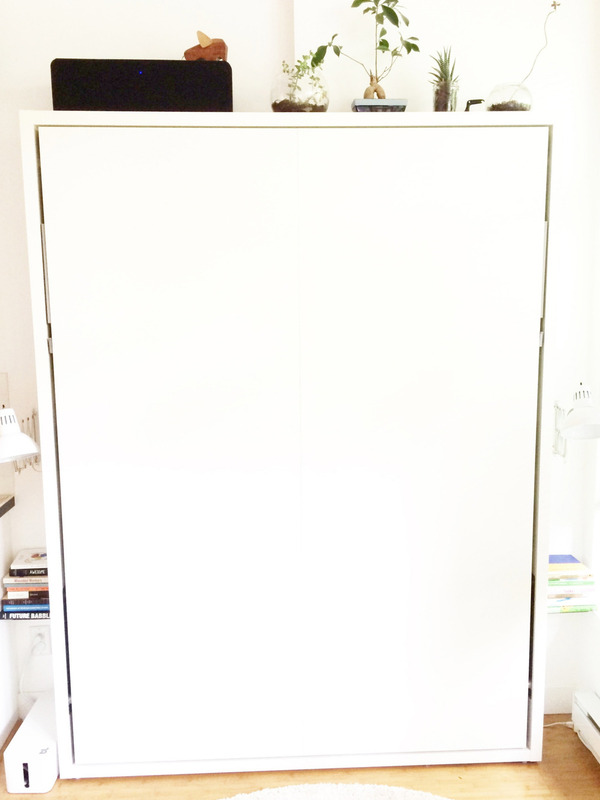 a Murphy bed or wall bed, whatever you want to call it, was the answer to our problem. We wanted two bedrooms, but we couldn’t afford it, so we needed to rethink the way we used our space. This nook in our living room has become our bedroom in the night and a play area in the day. We decided to splurge and get a Ciel Ulisse from Resource Furniture. It was ALOT to spend on a bed, but when we committed to staying in our place we knew we needed this to actually work and not just in theory. Most murphy beds are meant for guest rooms and infrequent use. We needed to use this everyday. And we love it… for real. Our small space is actually livable for two adults and one baby, luckily we all really like each other.